Three first-half interceptions thrown by Philip Rivers led to 17 Kansas City Chiefs points for a 24-10 loss Sunday at StubHub Center, dropping the Chargers to 0-3 for the first time since 2003. Rookie Kareem Hunt ran for 172 yards on 10 carries for Kansas City (3- 0), including a 69-yard touchdown with one minute, 49 seconds to play to seal the victory. Chiefs quarterback Alex Smith completed 16 of 21 passes for 155 yards and two touchdowns. The Chargers outgained Kansas City, 330-311 and led 24-16 in first downs. The Chiefs led in time of possession, 30:26-29:34. Smith threw a 30-yard touchdown pass to Tyreek Smith 2:57 into the game, four plays after Terrance Mitchell intercepted a pass by Rivers at the Chargers 43-yard line. Eight plays into the Chargers next possession, Marcus Peters intercepted a short pass by Rivers at Kansas City’s 28-yard line and returned it 38 yards to the Chargers 34-yard line. Alex Smith threw a six-yard touchdown pass to Albert Wilson four plays later. The Chargers scored what would be their only touchdown on their next possession on Melvin Gordon’s 11-yard run, one play after Rivers completed a 44- yard pass to Travis Benjamin, with a 12-yard roughing the passer penalty against Dee Ford tacked on. The Chiefs took a 17-7 lead 4:30 before halftime on Cairo Santos’ 34- yard field goal, nine plays after Mitchell made his second interception of the game. Chargers rookie Younghoe Koo kicked a 29-yard field goal as time expired in the first half. 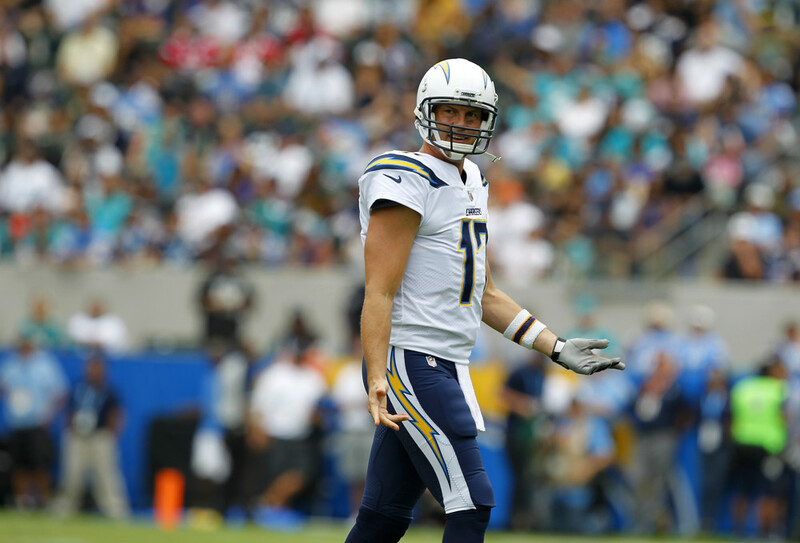 Rivers completed 20 of 40 passes for 237 yards and was sacked twice. Melvin Ingram made three of the Chargers five sacks of Alex Smith.